Can we identify this specific whaleback? Divided back. 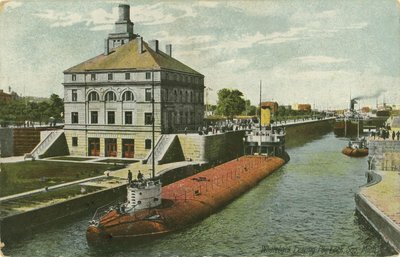 Postmarked "Sault Sainte Marie, MI, 19 May 1910"
"Whaleback Leving Poe Lock, Soo, Mich."
Reverse: "662 Pub. by Young, Lord & Rhoades Made in Germany"